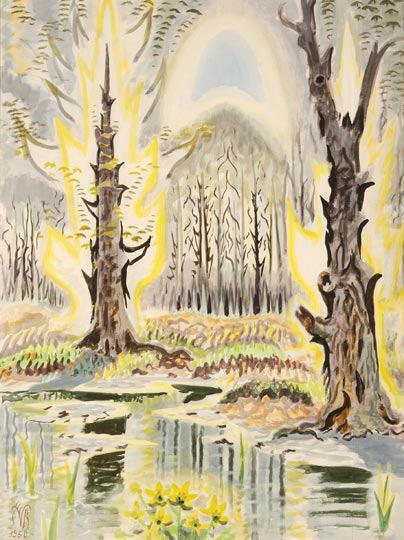 ‘Heat Waves in a Swamp’ marks the first major west coast exhibition of Burchfield’s work. 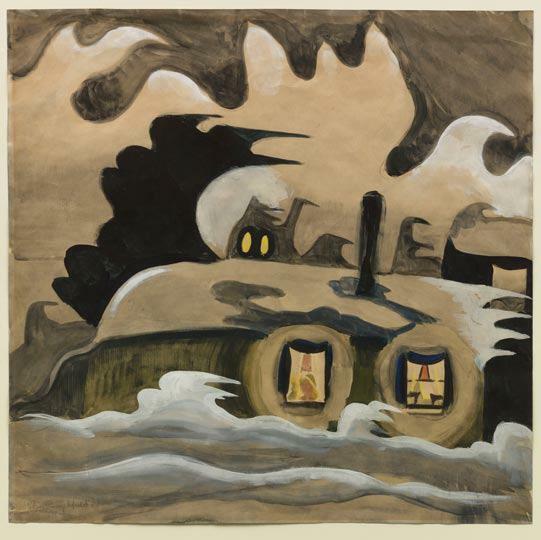 Featuring over eighty major watercolors, drawings, and oil paintings drawn from important private and public collections, this exhibition also weaves together myriad ephemeral objects including doodles, journals, scrapbooks, and letters from the Burchfield archive at the Burchfield Penney Art Center. 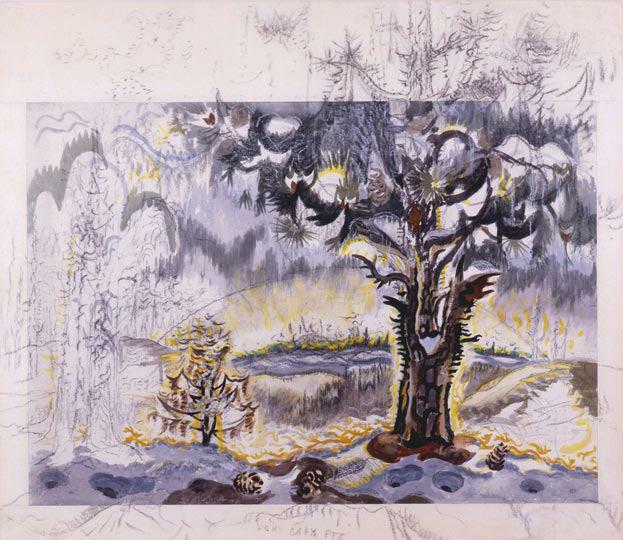 This combination of artwork and biographical material in Heat Waves in a Swamp provides new insights into Burchfield as a person as well as an artist. 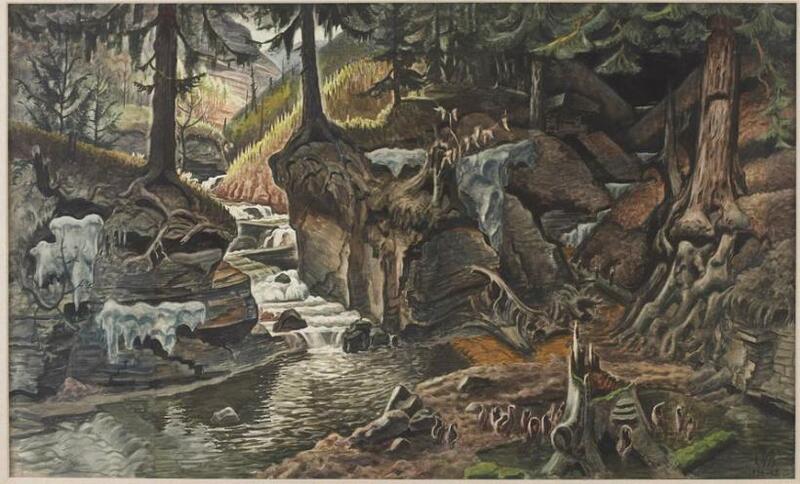 Charles Burchfield(1893-1967), worked almost exclusively in watercolor on paper and his primary subject was his experience of nature in his immediate surroundings - scenes from his backyard, vistas near his home captured and imbued with highly expressionistic light, at times creating a clear-eyed depiction of the world and at other times one that is wholly unique, mystical, and visionary. In 1930 Burchfield’s work was the subject of the first one-person exhibition at the Museum of Modern Art in New York (MoMA). 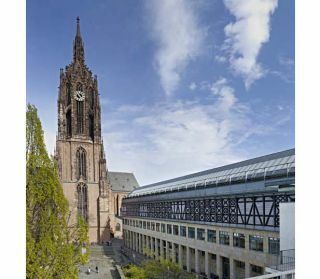 His work has been collected by major institutions including: the Metropolitan Museum of Art, MoMA, the Whitney Museum of American Art, Smithsonian, National Gallery of Art and Chicago Art Institute. 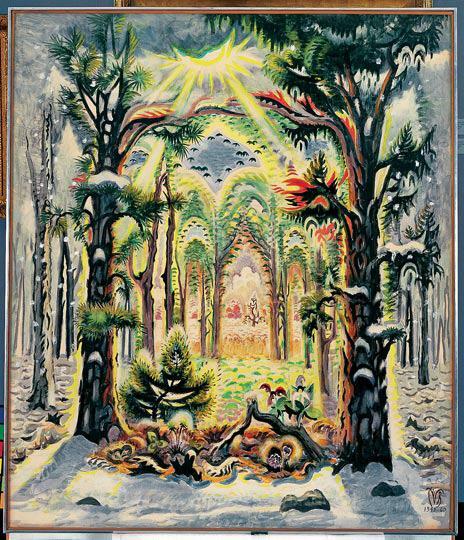 Despite this and the fact that he was also acclaimed by critics and known to a broad audience during his lifetime, Burchfield has been curiously under-appreciated and little-known or understood by a larger national and international audience. 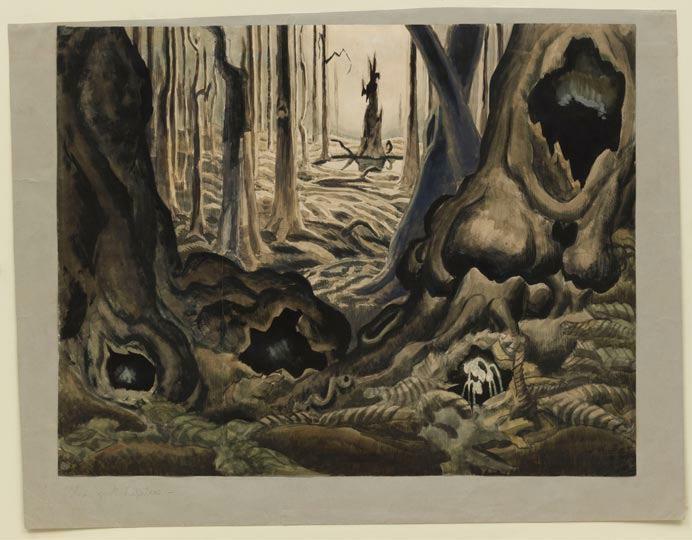 Heat Waves in a Swamp will be the first major Charles Burchfield exhibition to be mounted on the west coast and the first in New York for more than twenty years. Arranged chronologically, it approaches Burchfield’s work with a new perspective facilitated in part by the curatorial sensibilities of Robert Gober. Working with Hammer coordinating curator Cynthia Burlingham, Gober has augmented a large selection of watercolors with the inclusion of extensive biographical material that continually infuses Burchfield’s own thoughts about his work and artistic practice. An obsessive collector, organizer, and archivist, Burchfield left a treasure trove of well-maintained sketches, notebooks, journals, and doodles spanning his entire career. This material is now part of the Burchfield Penney Art Center at Buffalo State College which houses more than twenty five thousand objects by this visionary American artist. The exhibition begins with work Burchfield created in 1916 while living in Salem, Ohio and follows his career with special attention to transformative and often reflective moments in his life and work. For example, drawings from a 1917 sketchbook entitled ‘Conventions for Abstract Thoughts’ represent human emotions with semi-abstract shapes that would appear in his work for years to come. This is followed by an entire room dedicated to the 1930 Burchfield exhibition at MoMA, which was the first solo artist exhibition in the museum’s young history. 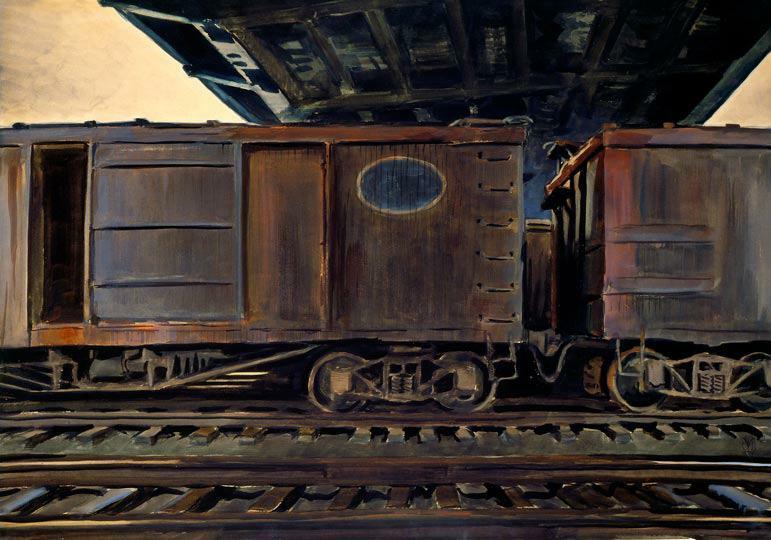 Twenty-seven watercolors originally featured in the MoMA show will be exhibited alongside the correspondence between Burchfield and then-MoMA curator/director Alfred Barr. This early period of Burchfield’s career also features a room with wallpaper from his time as a wallpaper designer combined with watercolors of industrial landscapes from the same period. More than a decade later, Burchfield returns to his early expressionistic watercolors for inspiration. He begins to make monumental pieces created by literally transforming a number of small-scale watercolors from 1916-1918—pasting large strips of paper around the early watercolors to increase their size and reworking these new compositions into unusually large ecstatic watercolor visions. This return to his roots results in an explosion of color and the exhibition culminates in the late, transcendental watercolors of the 1950s and 1960s. These monumental paintings are accompanied by a central vitrine containing the more than 10,000 handwritten journal pages that Burchfield kept throughout his life, from a young teenager until his death from a heart attack in 1967. 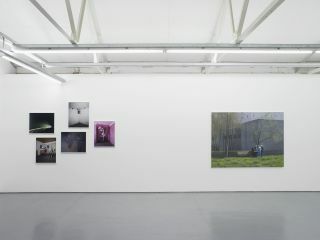 These rich and complex journals demonstrate the extent to which this artist was continually immersed in rigorous self-reflection and the documentation of his artistic process.